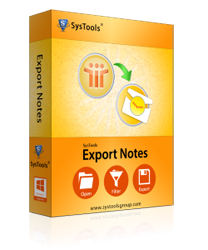 Download DEMO Version of Export Notes to Convert Lotus Notes Database (Client) & Lotus Notes Domino Server Mailboxes to Outlook. Version: 9.4 File Size: 4.40 MB OS Requirements: Win 2000/XP/2003/Vista/7 v8.0, 7.0, 6.5, 6.0 & 5.0. Or above is required to install Export Notes to Outlook to perform Lotus Notes conversion to Outlook. Note : Demo Version supports to convert only 16 emails, contacts, journals, calendar, and to-do list from Lotus Notes to Outlook. You can also purchase full licensed key of Export NSF Software. Copyright © 2007-2019 www.notes-to-outlook.com | All Rights Reserved.